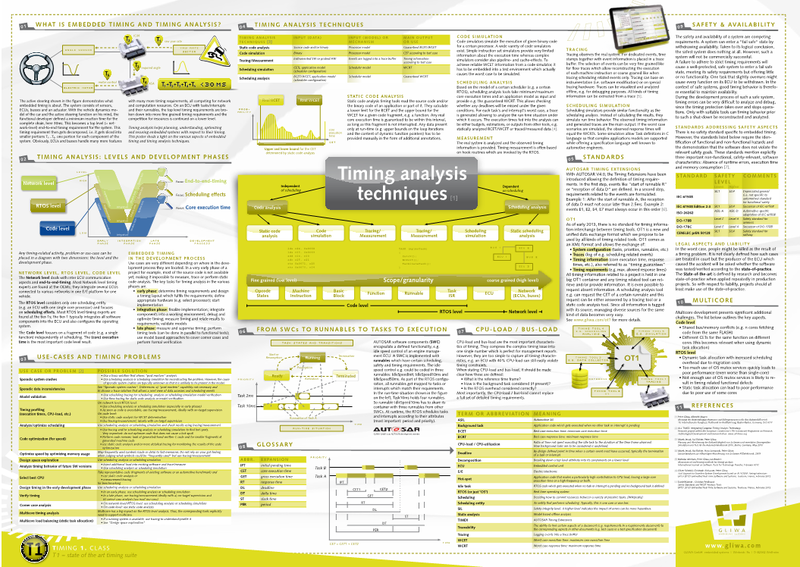 Our new Timing Poster sheds a light on timing aspects of AUTOSAR CP, e.g. 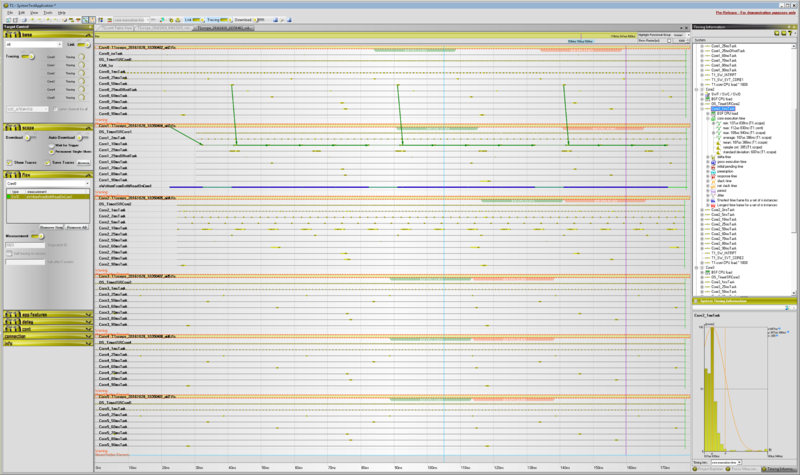 by giving a graphical definition of timing parameters such as Core-Execution-Time (CET) or Response-Time (RT). AUTOSAR AP is also addressed and timing aspects of the different layers of an AUTOSAR AP system are highlighted. 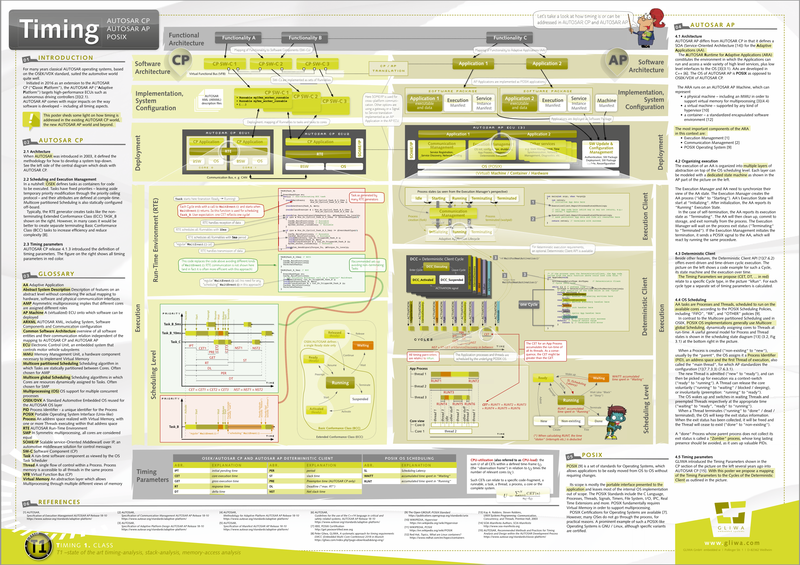 The poster includes suggestions of how the usual timing parameters may be mapped. Furthermore it explains how the typical usage of the RTE in an AUTOSAR CP system can lead to problems. Long before autonomous driving became a hot topic, safety was not only important for braking and steering controllers. 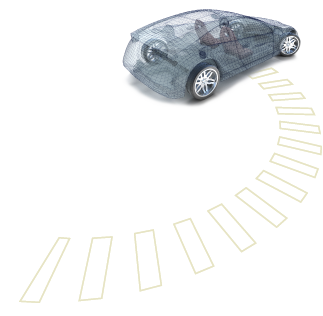 As a standard developed specifically for the automotive industry, the ISO 26262 replaced ISO 61508 a few years ago and is today the definitive standard in terms of automotive safety. Every automotive software developer should be familiar with ISO 26262 to some degree. 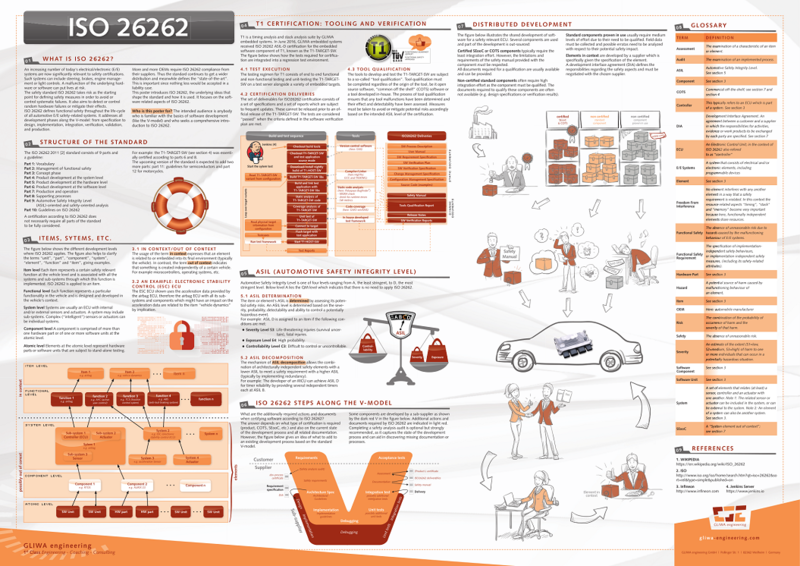 Our ISO 26262 poster gives an appealing overview of many aspects of the standard and thus offers beginners a good starting point and advanced developers a clear reference. 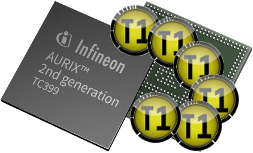 Multi-core processors have conquered the automotive industry faster than expected a few years ago. As practice shows, one has to count the cost if one lacks of multi-core knowledge base. 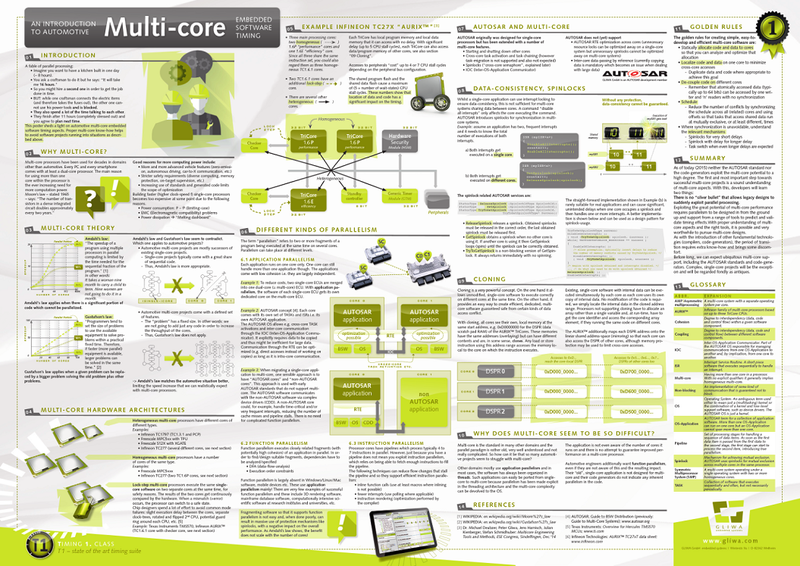 Our multi-core poster summarizes the contents of our Multi-core training in one DIN-A1 sized paper. Besides theoretical basics there are examples of current architectures as well as explanations of different kinds of parallelism, cloning, spinlocks, AUTOSAR aspects and not least a glossary. We would be pleased to send you the poster as a hardcopy. Just contact us. What is embedded timing and how can correct timing be secured? 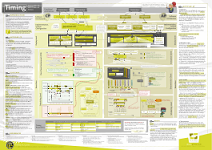 Our DIN-A1-sized timing poster sheds light on this complex topic.  Various aspects of the development process are illuminated such as diverse analysis techniques, standard, AUTOSAR mechanisms and much more. We would be delighted to send you a hard-copy of the poster. Just get in touch with us. Article (German only) on multi-core in karriere-ing.de 07/2013. We at GLIWA would like to change the "[not sufficiently available]" in the article's first sentence to "[not sufficiently wide-spread]". 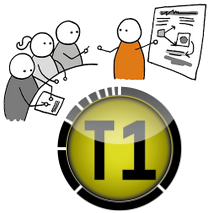 Our timing suite T1 fits exactly the gap in the tools sketched out by the article. If you need to cite a document on this page, you can download the bibliography here.